We have an abundnace of rocks at our house, specifically landscaping rocks around the perimiter of our home. The kids like to play with these, use them as play food, make little cities and line the sidewalk. Every evening we make our way around the yard putting all the rocks back. I thought it would be fun to do a project with a few of our many rocks that the kids could keep…inside! 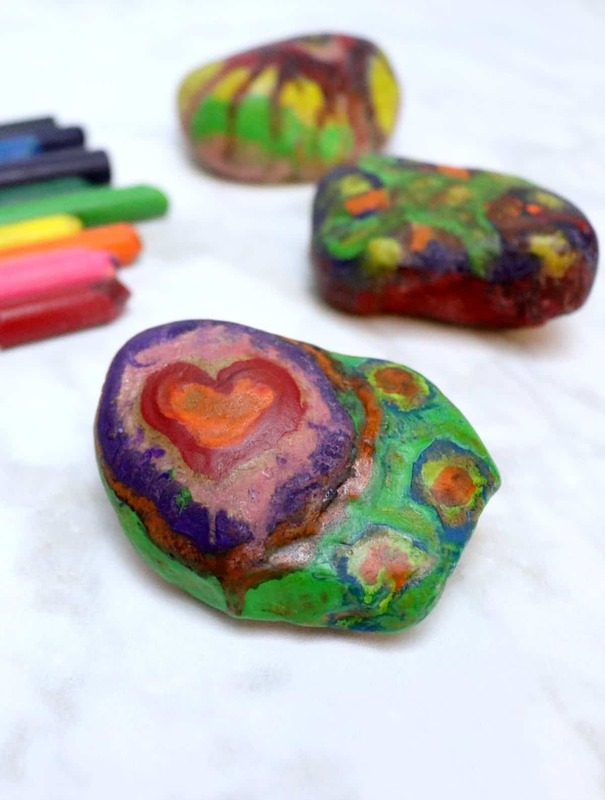 These melted crayon rocks are the perfect project of our rocks. My girls and I each picked one rock and grabbed some broken crayons to create these fun melted crayon rocks. They were over joyed when I didn’t make them put them back at the end of the day. This project requires adult involvement. 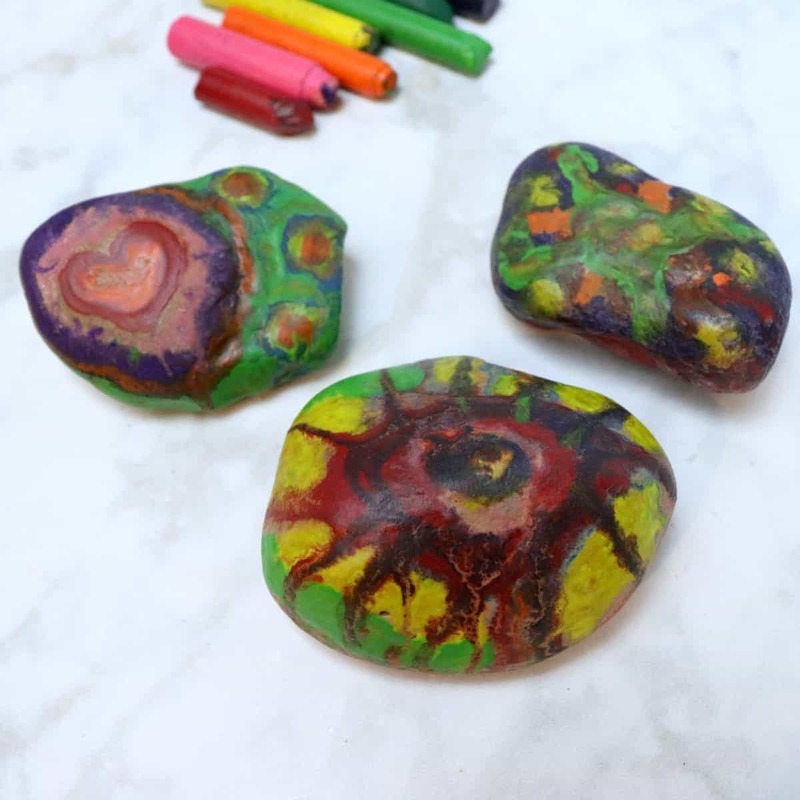 To make melted crayon rocks, heat up the stones then color on them with crayons and watch the color melt on the rock. When it cools you are left with a smooth and colorful rock to use as a paper weight or just for decoration. Lay clean rocks on a baking tray and put them in the oven for 10-15 minutes at 350 degrees F. You may want to line the tray with foil to prevent scratching. Carefully remove the rocks using an oven mitt and place onto cardboard to protect your work surface. At this point I let my kids add the color, but I kept the oven mitt on one hand to steady the rock so they wouldn’t be tempted to grab it with their hands. Gather broken or old crayons and color on the rocks. Pressing down will melt the wax and it will drip down the sides. Coloring lightly allows you to make a design. Continue layering and mixing crayon colors until your rock is covered. Let it cool until the crayon has hardened leaving a smooth shiny finish, this can take a couple hours. My kids loved making these, and so did I. Feeling the crayon melt on a hot rock is so satisfying. 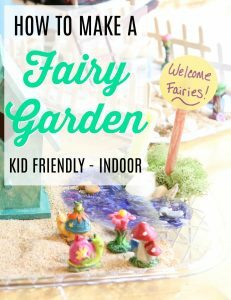 This is definitely a project you will want to add to your craft list.